The curly-haired, exotic hippie violin virtuoso will give his first ever performance in Hungary. Following London, Paris, Rome, Moscow, Buenos Aires, Lima, Beijing, Hong Kong, Istanbul, Prague, Dubai and cities from 40 other countries, the second wave of the violinist's world tour will include a concert in Budapest. He will appear at the Margaret Island Open-Air Theatre on June 29. The Beirut-born, Armenian musician calls Lebanon, Europe and the Mediterranean his home. According to him, not only his music, but also his life is a "cultural cocktail." 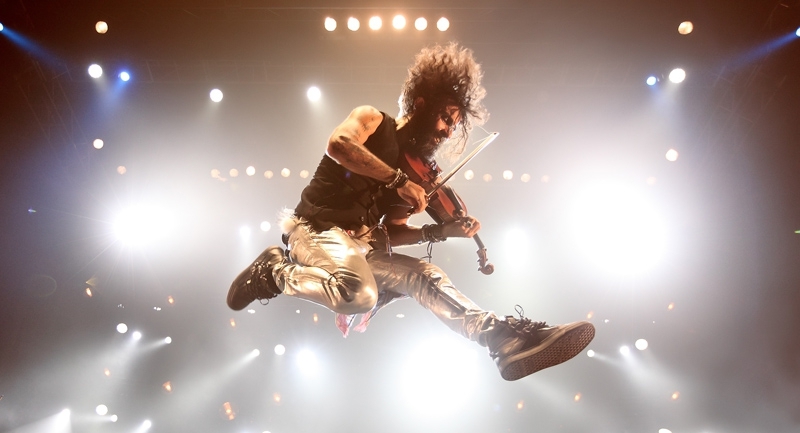 True to the spirit and the charisma of a real rebel born in ’68, the 50 year-old violin virtuoso appears as a curly-maned Sandokan crossed with Michael Flatley. All of his body parts are dancing while he is playing the crystal clear melodies of Paganini. 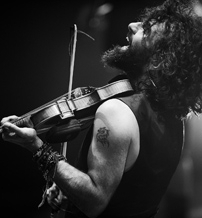 Ara Malikian gave his first individual concert as a 12-year old prodigy. The world’s greatest music academies were open for him, inviting him to present his spectacular talent. He lived in Berlin since he was 15, to finish his musical studies at Hochschule für Musik und Theatre Hanover, where he was the youngest student for a while. He continued his studies in London, learning from the best music teachers and professors, such as the members of the Alban Berg Quartett. The artist has always paid special attention to get his music to the widest possible audience, making sure that even people who have missed out on classical music would enjoy his concerts. 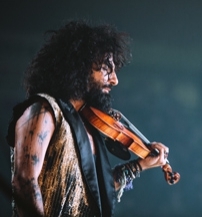 Besides his unique solo projects, his characteristic violin solos have appeared in several film scores including Alberto Iglesias’ Oscar-nominated The Kite Runner (2007) and Pedro Almodóvar's Talk to Her (2002) and Broken Embraces (2009). His music embraces music of all origins and cultures, including elements of klezmer, tango, flamenco, and even some western genres, with Arabic, Jewish and Gypsy influences.